EDMONTON & CAMROSE, AB – Edmonton-based contract brewing operation Elbeck Brews has announced details of a new beer that is being released in collaboration with Norsemen Brewing in Camrose. 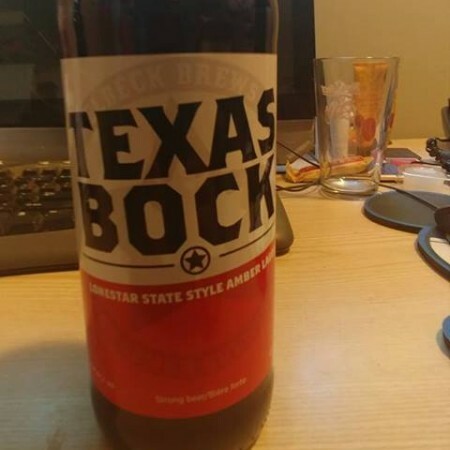 Known as Texas Bock for the Elbeck version of the release, and Lone Star Bock for the Norsemen edition, the 6.4% abv and 30 IBU lager was brewed at Norsemen based on a homebrewing recipe that Elbeck owner and brewer Bruce Sample created when he lived in Texas. It includes the addition of corn as is the tradition for the beers made by the original settlers in Texas, who used locally available ingredients for their brews. Texas/Lone Star Bock is available now on tap and in 650 ml bottles at Norsemen and other select licensees and liquor stores in Alberta while supplies last.